Archive by Category "Statistics & Trends"
Did These Top Five 2012 New Media Predictions Come True? As 2012 comes to a close, I think we can call the biggest prediction (that the world would end) a bust. But what about predictions about blogging, social networking, and other parts of the new media world? 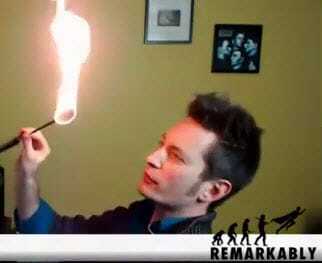 Let’s take a look at 2012 predictions and whether or not they came true. I think we can all agree that Jay was right on the money with this prediction. During 2012, both Pinterest and Instagram grew rapidly, and more and more people started experimenting with creating videos to publish online. Even on established social networks like Facebook, we saw a boost in people using images and video. The post on Social Media Examiner contains a number of 2012 predictions, as well; some right on the money and others a little off the mark. While some of her other predictions definitely came true, I think this one is a little farther from what really happened. Social television is still lagging a bit, though it is definitely growing. What we are seeing are apps and websites like Get Glue expanding rapidly, but we still aren’t seeing widespread adoption of smart TVs. Second screen apps like those offered by AMC are also growing, and according to reports, more people are using tablets, computers, and smartphones to browse while watching TV. So, I’ll say that this prediction came true…somewhat. But I think we still have a pretty far way to go when it comes to social television. It’s not like nobody uses Google+. In fact, lots of people use Google+. But a force? No way. There’s little mainstream adoption; people have stuck to Facebook for the most part. But having a Google+ profile does have other benefits. Namely, Google has remained a search engine powerhouse, so Google+ posts regularly show up in search results. The information you provide also helps Google connect the dots to figure out who you are. You can definitely be successful on Google+, though. 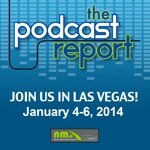 Amanda Blain is going to speak at NMX 2013 about this very topic, in fact. It’s quite a stretch to call this network a force, though. While there might be a few holdouts, it’s rare to find a brand that doesn’t have at least one social profile (usually Facebook), and many are on several networks. One of the other points he makes is that social data will become more important to brands, and I definitely think this has come true. While in the past, companies were using social media just because they “had” to, the question today on everyone’s mind is, “Why?” Brands want to see ROI, and without data, it’s impossible to show that. It seems like I can’t do anything online without an option popping up inviting me to share. Buy this product? Share it. Sign up for an account? Share it. I’m waiting for the days when they start asking us to share that we’ve just shared something! But all joking aside, I like it that the Internet is becoming more social. Writes David, “We probably don’t know what we are willing to share until we see the option to do it.” How true is that? I find social sharing notices helpful as reminders to share my activities when they might interest others. 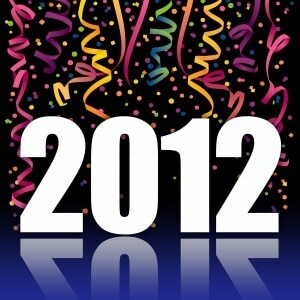 Did you make any social media predictions for 2012? Did they come true or were you surprised? Leave a comment below! The adoption of digital technology is one of the major distinctions Millennials have among previous generations. The age group in their late teens to early 30s can create a profile on the latest social network faster than you can say “smartphone.” Many might deem their ubiquitous love affair with social media quite trivial, but don’t discount all the good some of them are already doing with it. Millennials are pioneering ways to give back to their communities, sharing actionable solutions to social issues, and galvanizing others who believe real impact is sometimes only a send button away. Take IGNITEgood for instance, who has teamed up with The Huffington Post to give away $100,000 to 10 game changing ideas that move humanity forward. The competition dubbed “Millennial Impact Challenge,” will first select five existing nonprofit organizations/businesses that demonstrate scalable impact, viability of getting others involved, and a sense the applicants are uniquely qualified to champion their big idea. The IGNITE Team has corralled an impressive group of–you guessed it–Millennials as the selection committee to pick these winners. The second half of funding is reserved for five startup organizations or companies who get the most “likes” on Facebook during the voting phase. You see, socially-conscious Millennials are using the “like” button for something other than self-esteem boosters and virtual pats on the back. A Houston darling of a nonprofit is also harnessing the social web to make a difference in their community. Mia’s Closet is barely a year old and is already making established nonprofits take notice with its online presence. Executive Director Chelsea Coffey founded the nonprofit to instill confidence and self-worth in students from kindergarten to high school by providing them with clothing through a personal shopping experience. Seeing is believing in Coffey’s perspective so she tells the story of her organization through Instagram. The app allows Coffey and crew to showcase the lively atmosphere of pampering, personal styling, and all around family fun. 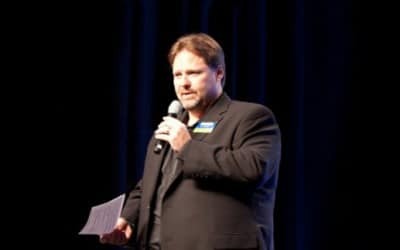 What started out as a small project has blossomed into a steady growth in Facebook and Twitter fans, along with a full-fledged website using the easily-to-learn, WordPress platform. Quite fittingly, the 20-something founder now moonlights as fashion/social media editor for the same magazine that gave Mia’s Closet its early press coverage in March. From local zines to globally-recognized publications, Millennials are reported on as leaders in the surge of social entrepreneurship. One such brand is Forbes Magazine, which intends to bring these modern enterprises to a new audience. The magazine has publicized its search for 30 Awesome Social Entrepreneurs Under 30. Known for its lists of actors, rockstars, and business moguls, Forbes is venturing into content that may add cachet to the young do-gooders of the world. Don’t go nominating your buddy who raised a wad of singles and loose change selling lemonade at the local block party, though. The staff is essentially searching for the dream team of altruistic innovators. The noble group who will help define this generation and their impact will most likely be fueled by Web 2.0. One clear candidate deserving Forbes glory is Tristan Walker, who is adding value to the nonprofit sector via the social highway. The tech wunderkind Linkedin page looks more like Mashable.com’s top stories. Walker has worked for Twitter, JP Morgan, a major Boston-based consulting group and more recently served as Foursquare’s Director of Business Development (a relationship which he initiated with an email to the founders). Working 12 hour days to develop an investment portfolio so he can buy yachts, expensive champagne, and gold-plated toilet seats seem like the next steps for him, right? On the contrary, the rising figure has opted to tackle a new venture that yields $0 in profits. Yes, Walker recently founded a nonprofit organization that is primed to give minorities a shot at taking on Silicon Valley’s biggest startups. The bold move has backing from some major players in the tech space, philanthropy powerhouses, and venture capital partners. Their inaugural class of fellows earned paid internships and gained insight from the who’s who of tech startups, as well as established companies. Tammy Tibbetts is another under 30 community organizer crushing it at the intersection of social media and social change. Tibbetts had already scored a coveted job as Social Media Editor for Seventeen Magazine, which she reported as having the fastest growing Twitter presence in the magazine industry in 2011. She has since made the tough decision to leave that dream job to begin another as founder of She’s the First, a non-profit sponsoring girls’ education in developing countries. Tibbetts takes social media best practices from her previous role to amplify the impact her organization makes. The site features “Map Your Impact” using Google Maps, as well as tweeting, Facebooking, and Tumbling calls-to-action that drive donors to its Razoo page. One of the most surprising, yet promising displays of support comes from its tie-dye cupcakes campaign, which has turned into social media tour de force. The video below is a taste of how sweet it is for college students to raise thousands of dollars with a few days of baking and selling cupcakes on campus. These new media-friendly founders help contextualize the bigger picture of how Millennials are working toward a greater good. A valuable reference to these interactions is the often-cited 2012 Millennial Impact Report, which surveys Millennials’ relationships with existing nonprofits. Connecting: The majority of Millennials surveyed stated they prefer to learn about nonprofits through their website and social media. 77% of them own smartphones, and they like having access to what an organization does, how to get involved, and shareable content, right at their fingertips. Nearly 70% of the participants have interacted with a nonprofit via Facebook. A staggering 87% of them follow nonprofits on Twitter, while 60% give compliments and retweet content from nonprofits they follow. Involving: Not surprisingly, 81% of respondents prefer to learn about nonprofit volunteering opportunities through their peers. This finding warrants an added incentive for nonprofit leaders to create content people want to share, and display social network mechanisms for supporters to do so. Coming in at second and third are emails and a nonprofit’s website to learn about volunteer information. By a margin of more than two-to-one, Millennials who volunteer for nonprofits are more likely to make donations. That’s good news for organizations who can effectively engage with their audience via online and offline experiences. Giving: Millennials overwhelmingly prefer to donate through the web, with 70% of respondents having made contributions through a nonprofit’s web page in the last year. This goes back to nonprofits needing to produce and feature inspiring content on their website in order to gain financial support. To encourage consistent giving, nonprofits should make it clear as to how donations will impact the organization, avoid telling donors how much to give, and stray from sending long letters in the mail for support. Millennials like to make contributions with ease and immediacy. So there you have it. A look at innovative Millennials using social sites to make meaningful connections and bring change for the undeserved communities they’re passionate about. And a snapshot of overall trends that will ultimately drive new and interesting ways to solve human injustice and inequality. Comment below to share your story or tell us about a person you know who is using social media for social good. Even lemonade stand stories are welcomed here. Planning on organizing a big heist today? Well, be sure not to announce it on Twitter or Facebook! Ok, sure, that sounds silly. But, you’d be amazed at how effectively law enforcement is able to use social media to gather evidence, establish probable cause, or identify suspects. This nifty infographic from Backgroundcheck.org sheds some light on how the law is tapping into the social web. College and universities are embracing social media as a means to connect with the current student body, alumni, prospective students, and donors. 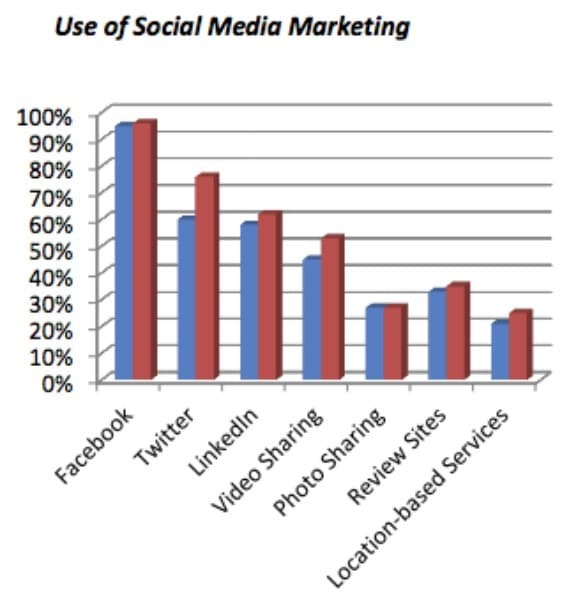 According to BestCollegesOnline.com, one in three schools indicate that they achieve better results with social media than through traditional media. As 2011 is coming to a close and we are inching closer and closer to 2012 (I know…I can’t believe it either), it’s time to take a step back and look at your blogs. Ask yourself some questions like what did you do right, what did you do wrong and what would you like to focus more on in 2012. Building up your email subscriber list might be one New Year’s resolution for you to consider for your business. Allison gave us some fantastic insights and ideas on how she helped increase her client’s mailing list. In fact, she helped triple it in less than 10 minutes. According to a study done by StrongMail in conjunction with Zoomerang, marketers plan on spending more money and time on their email subscriber list. They want to increase both the number of subscribers, as well as the engagement factor. When marketers were asked to “Please indicate the programs for which you plan to increase spend”, email marketing won out with 60%. Social media wasn’t far behind with 55%. 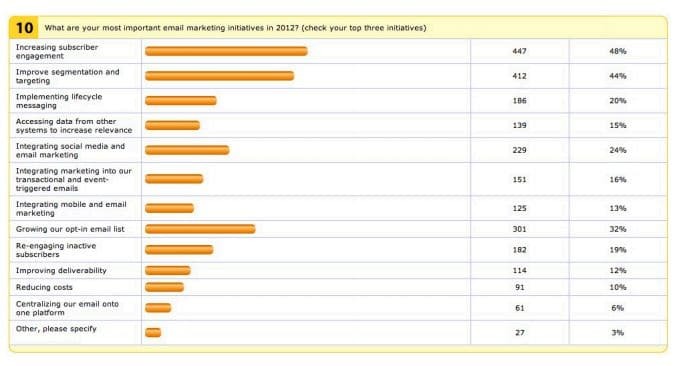 When asked what their most important email marketing initiatives were for 2012, subscriber engagement came out on top with 48% and growing opt-in email lists came in with 32%. 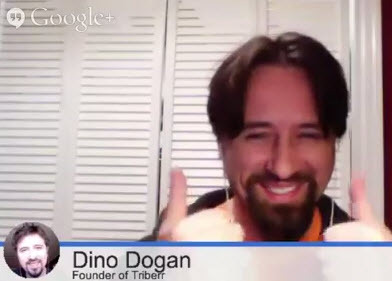 Are you a firm believer in building an email subscriber list? If so, how have you used this list for the benefit and growth of your business? The Klout Debate: Should You Stay or Should You Go and Does It Matter? Klout has never not been controversial, but recently, users got their unmentionables in a twist over algorithm changes that caused just about every score to drop, some more significantly than others. Some people were upset about the changes, but I saw even more people upset that others care about the changes. In the past few months, I’ve seen more people virtually yelling, “Klout doesn’t matter!” than yelling about any other topic. And in this industry, people like to yell, so that’s saying something. Klout’s also been under fire recently for creating profiles for any user interacting with another Klout user on Facebook – but they didn’t have age verification in place, which means they created profiles for countless minors. Partially as a response to that incident (and partially, I suspect, because users were asking for it), the company also made it easy and clear top opt out of Klout, even if you wanted a profile in the past. And so began the wave of opting out. There’s no shortage of people willing to talk about why they’re doing it, and why they think you should as well. The line has been drawn in the sand – Klout users and non-users. For transparency sake, I want to note that I am still a Klout user as of writing this post, though I wouldn’t classify myself as an avid user, since I only remember to log in a few times a month. I’m firmly a fence-sitter on this one – but I think I might be in the minority. People who had started using their measure, who had trusted it enough to include it in their client work, woke up one morning to find Klout had changed the algorithm without notice and with abandon. It was at best a naive decision to move without thought to the people who were building on what Klout offered. Those people who were putting Klout scores in their marketing plans and on their resumes were building Klout’s credibility. Still I stuck with them, because who hasn’t made a bad decision, especially when starting something new? But I watched with new interest in what they would do. I became more aware that my data, your data, our stories are their product and they seemed to become less aware of the responsibility that might come with a offering product like that. The Klout perks I was offered — especially the invitation to audition for the X-Factor — were all about my number not me. The additional unannounced tweaks to the algorithm that made it unpredictable and unstable did more damage to a sense of credibility. What I think it most valid about Liz’s argument is that if the numbers are constantly shifting and the data is never full correct, those who use these numbers to rate you or form opinions about you are going to be doing so without proper data. I’m the same today as I am tomorrow, but my score might drop significantly as a result of an algorithm change. That’s not a very fair way for a potential employer, client, or advertiser to rate my social media value. In other words, having a Klout score is an invitation for those getting to know you professionally or personally to be lazy – and it might not be to your advantage. On the other side of the debate, you don’t exactly have the opposite opinion. Instead of people championing for Klout (which is a sentiment I don’t see often), you have people exasperatingly arguing that Klout doesn’t matter and that the only thing these numbers are doing is giving people who otherwise don’t really matter an inflated sense of ego. The people on this side of the argument aren’t exactly encouraging you to continue using Klout. Instead, they’re encouraging you to stop ranting about it or making proclamations of your need to quit. Jason goes on to make a very good point that if people leave Klout (as they have been doing recently), the platform is even less useful than it is now. Measuring tools like Klout need data to be successful. If you really don’t care about your score, don’t care about it…but don’t ruin things for people who do find use in the score. Or, at the very least, stop belittling them with a “I’m better than you because I don’t care about Klout” attitude (something that I don’t think Liz has, by the way, just so we’re clear). What I think is interesting about this debate is that everyone seems to be talking about how others are perceiving their Klout scores and few people are actually talking about how they’re looking at their own score. That’s how I’ve always used Klout, and why I’m hesitant to leave. I find it extremely useful in this way – in fact, I’m going to write a post for tomorrow about how I use Klout that you might be interested in reading. 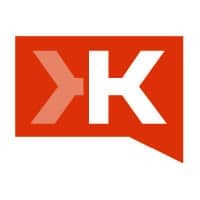 In any case, I find the whole Klout debate one of the most important and interesting topics in our industry right now. Which side are you taking? Are you still using Klout or did you quit? 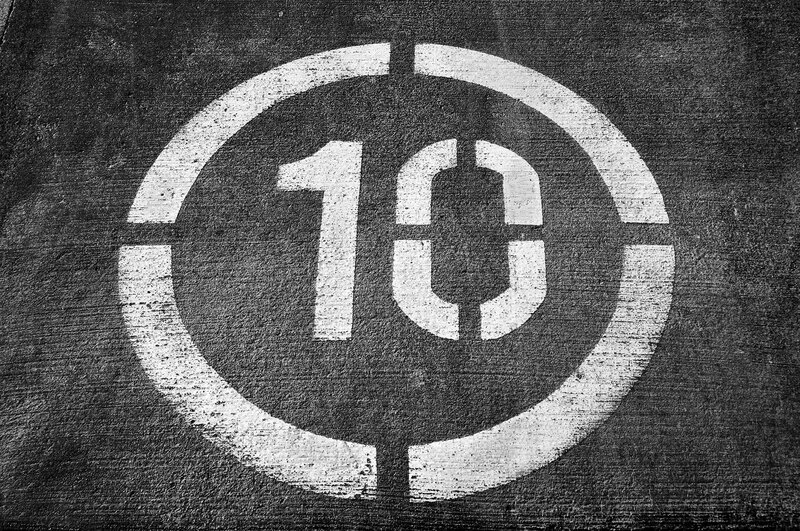 comScore released new stats today revealing how many U.S. internet users watched online video content for October 2011. A total of 184 million users watched online videos, which averages about 21.1 hours per viewer. Online video watching reached an all-time high with 42.6 billion videos viewed. Google sites (mainly YouTube), Facebook and VEVO rounded out the top three ways people watch online videos. In September, Facebook had dropped to the number five spot, but saw 59.8 million viewers for October raising it to the number two spot behind Google sites. For those of you who frequently watch videos online, where do you watch them: YouTube, Facebook, VEVO or all of the above? According to a November report from Constant Contact, small businesses are finding that using social media is getting easier, is less time consuming and is working well with their customer base. 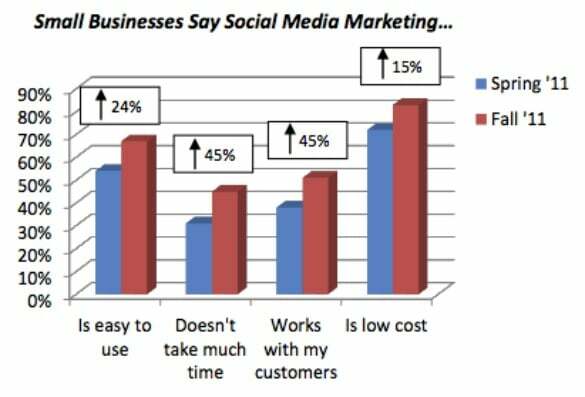 You can see in the chart below that in just 6 months, small businesses have embraced social media use much more. They are finding the low cost and ease of use well worth it. Out of all the social networks, Facebook came out on top as the most popular for small business to use. Twitter, LinkedIn and Video Sharing followed. How is engagement between small businesses and their customers? Sixty percent of participants said they respond to all comments on their social media platforms, whether the comments are good or bad. Did anything surprise you about this data? You can see more of their key findings here. 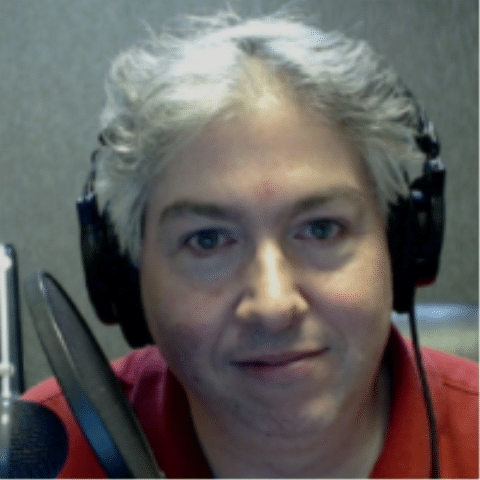 4,114 bloggers were surveyed by Penn Schoen Berland, 1,231 consumers were surveyed by Crowd Source, and for the first time, 111 senior level agency and brand markets were interviewed, with more interviews to come. 61% of bloggers are hobbyists. Bloggers are educated and affluent – about 79% have college degrees. 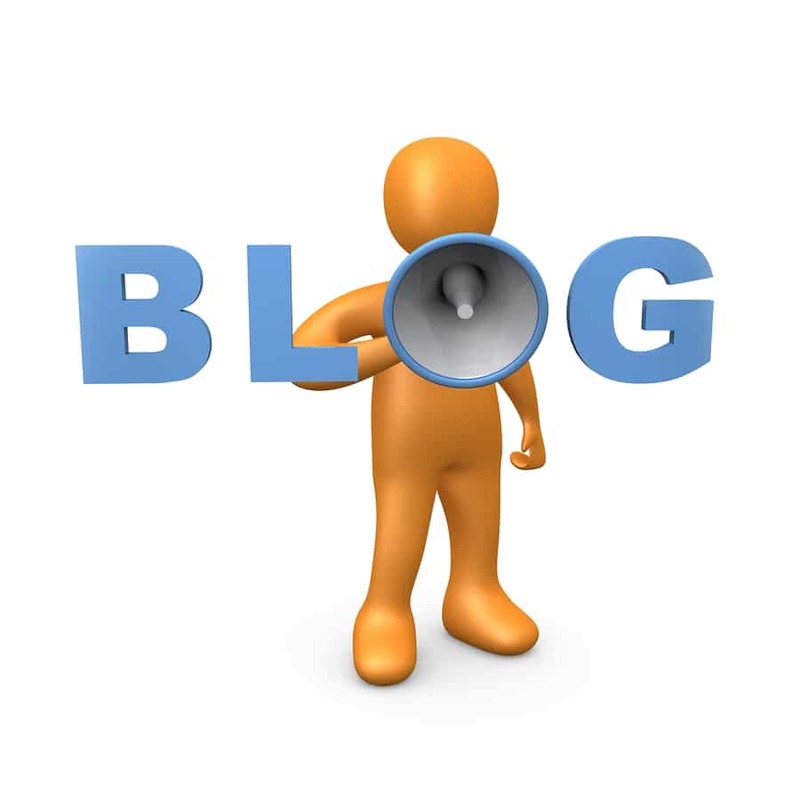 Bloggers have an average of three blogs. 80% have been blogging for 2+years and 50% have been blogging 4+ years. Bloggers measure success first and foremost by personal satisfaction (61%). 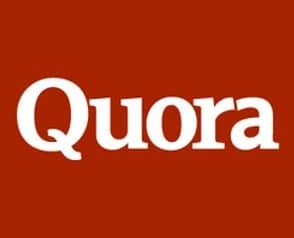 Most blog to share their expertise with others (70%). 66% of professional bloggers use Google+ (59% of all bloggers use it). 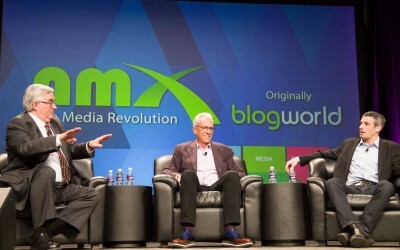 Probloggers use Twitter more than Facebook, but both are popular. The average blogger has 847 followers on bloggers (probloggers have more). 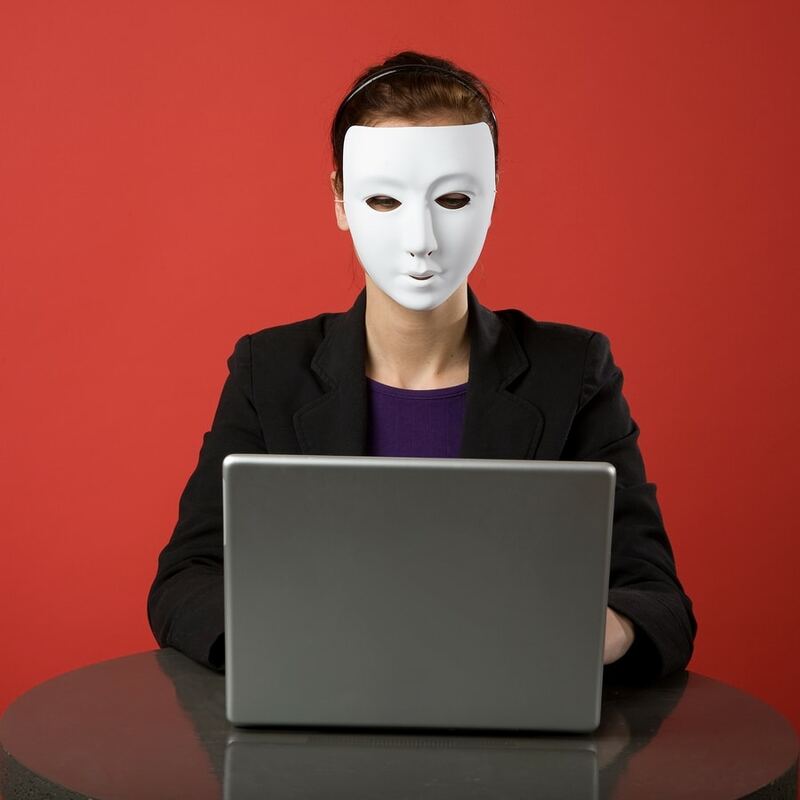 75% of probloggers and 50% of all bloggers have separate Facebook accounts for their blogs. Only about 13% of bloggers syndicate on Google+. LinkedIn, YouTube, Flickr, Stumble Upon, Del.isio.is, Picasa, Foursquare, Tumblr, and Digg are the next most popular social networks (in that order). The top tools for bloggers are: social sharing widgets, built-in syndication, providing site search on your blog, video hosting sites, widgets from other sites, trackbacks, photo hosting, and commenting systems beyond the traditional blog platform system). 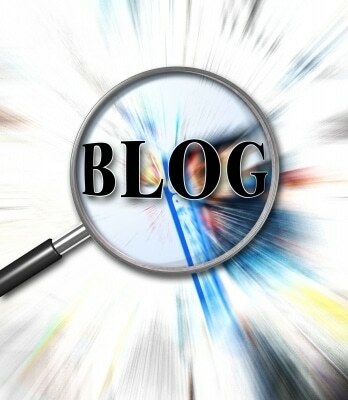 Blogs outpaced other media for inspiration, product information, and opinion. They won out over traditional media in all categories except news information. Consumers still trust convos with friends and family first. Friends of Facebook come second. The number one influence for bloggers is other bloggers (68%). This is a huge jump from only 30% in 2010. 2/3 of bloggers blog about brands. 1/3 post brand/product reviews and 1/3 post about everyday experiences in stores or with customer care. 1/3 of pros publish product reviews once a week or more. 2/3 of pros are approached 8 times a week by brands. It is very important for bloggers to choose advertising that aligns with their values. This is up from 10% last year. Last year, 33% of bloggers encouraged readers to boycott brands. This year, that number was 25%. The biggest complaint with brands was that 60% of bloggers say they are treated less professionally by brands than traditional media is being treated. Only 15% of bloggers characterize their interactions with brands as very favorable. Less than 25% say brands provide value or are knowledgeable about their brands. The majority of brand social media professionals have only been using social media for 1-2 years. 34% have their own blogs. Brands most commonly measure success on social media with followers, friends, likes, and social sharing. Some of the biggest changes brands saw in 2011 were that individuals trust bloggers, the subject matter needs to fit the brand, and it’s about building small pieces of content to entertain. In the future, they see that social media is a campaign leader, not just a supporter. 4% of bloggers and 37% of full time pros say that blogging is their primary source of income. 14% receive a salary for blogger. Only about 6% of bloggers write sponsored posts, but most make less than $50 per post. Only about 1/4 are blogging weekly or more. Most can’t quit their day job (yet). 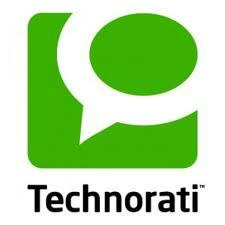 Head to Technorati to read the entire State of the Blogosphere report. 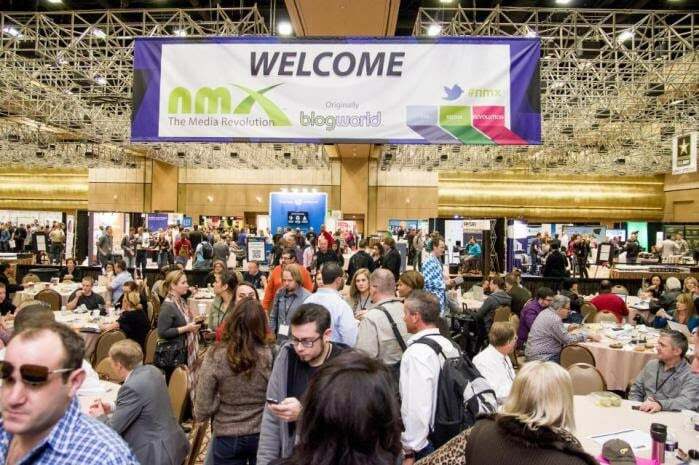 And don’t forget, you can check out the BlogWorld virtual ticket to get the entire presentation and listen to all of the other awesome new media sessions at BlogWorld. 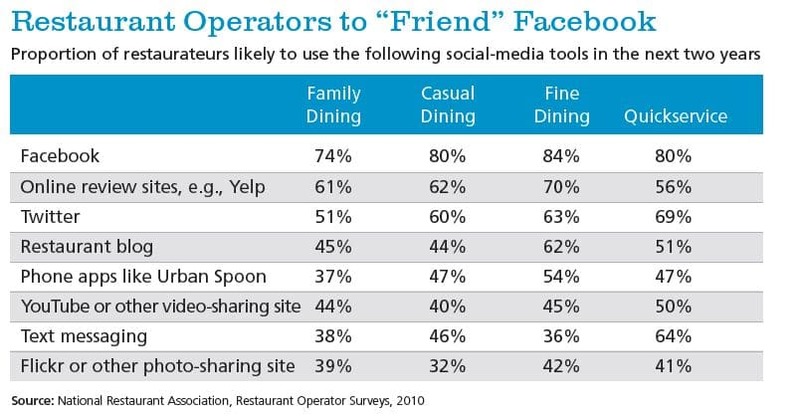 An interesting study done by the National Restaurant Association, shows that those who are social media savvy are more likely to eat out, as well as be repeat customers. The study broke the group of adults into two groups – the “connected adults” and the “social media savvy adults”. The connected adults were those individuals who use email and the internet, while the social media savvy adults used networks such as Facebook, Twitter and Yelp. The study shows restaurant owners just how important it is for them to embrace social media sites and use them for their advantage. Restaurants are taking note and will start using social media more within the next 2 years. Overall, 51 percent of social media savvy individuals and 48 percent of connected adults said restaurants were an essential part of their lifestyles. Not only will we see more restaurants using social media, but I imagine we’ll see many more apps being developed around the food business. For those of you who fall into the “social media savvy” crowd, would you say you eat out more than your friends who don’t frequent sites such as Facebook and Twitter?